Most days I watch what I spend. Living in Southern California is pricey and every penny counts. That being said there are some things I don’t mind dropping some cash on. When it comes to high quality, US manufactured items I’ll pay the higher price anytime. 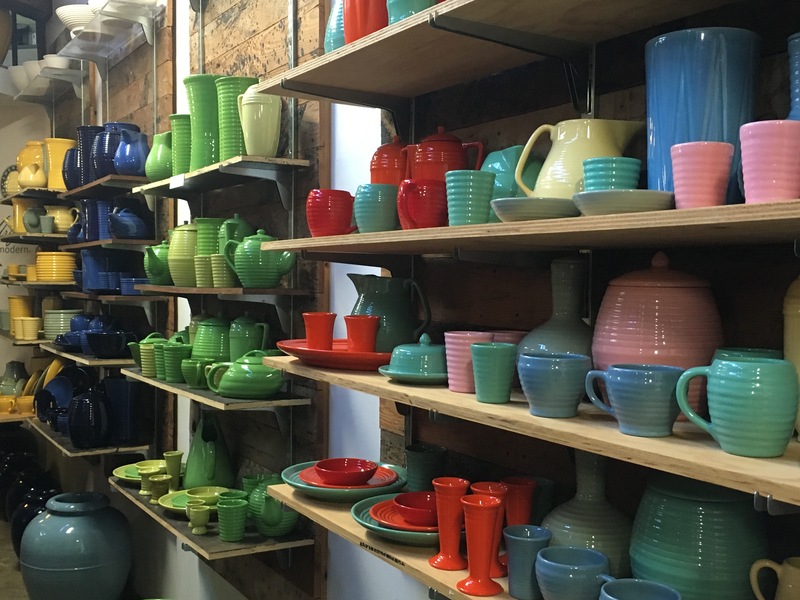 Heath Ceramics. Pendleton blankets. Besame Cosmetics. 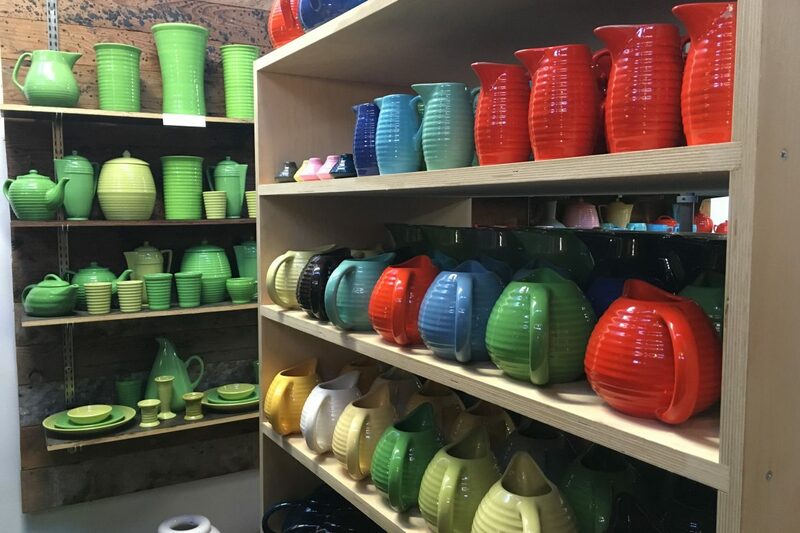 Bauer Pottery. 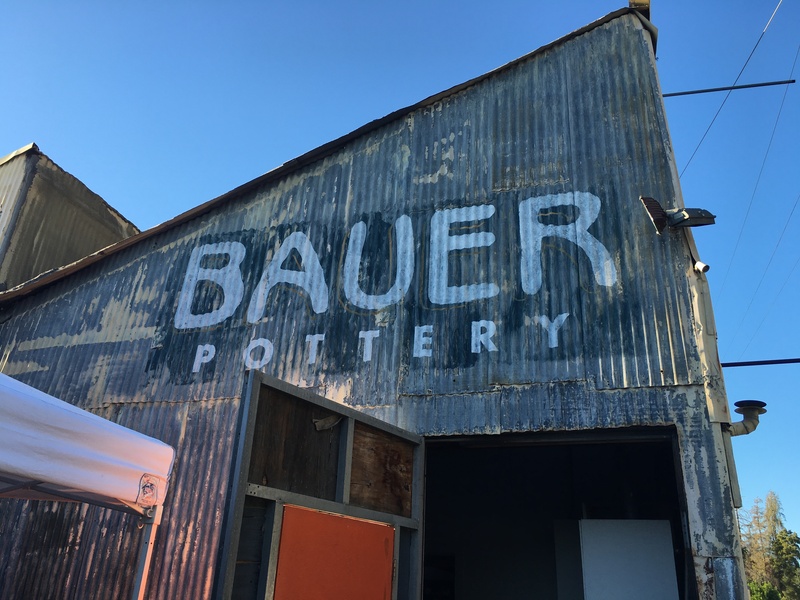 Bauer Pottery began in Louisville, KY in 1878 and moved operations to Southern California in 1910. 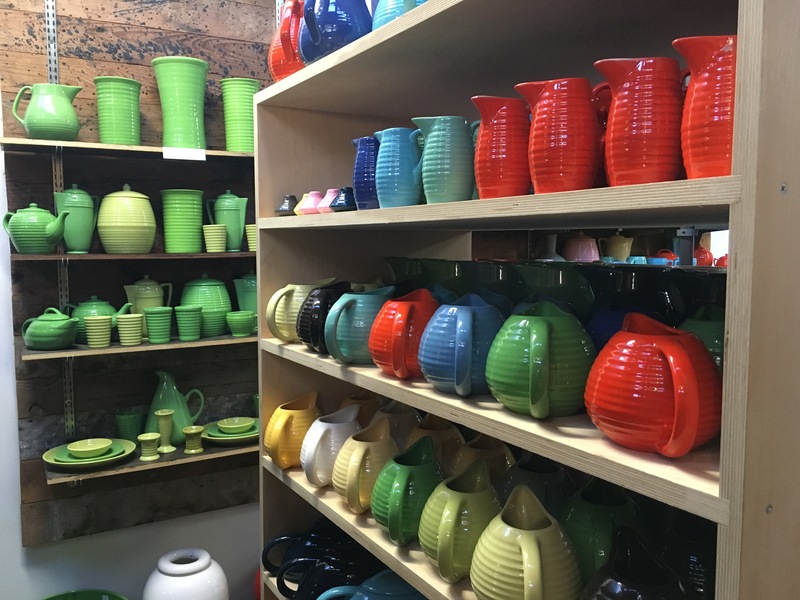 Until 1961 the company thrived producing dinnerware, kitchenware, garden pots and more. But as times changed the production process didn’t and the company closed in 1962. Fast forward to 1998 when current owner Janek Boniecki bought the rights and began manufacturing the distinct Bauer designs for a new generation. 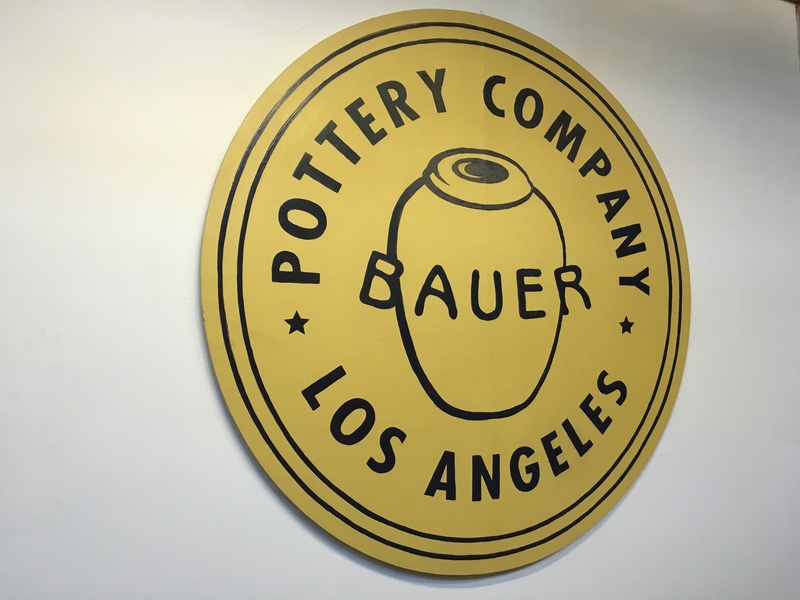 The Bauer showroom is located in LA and opens to the public on various weekends throughout the year. 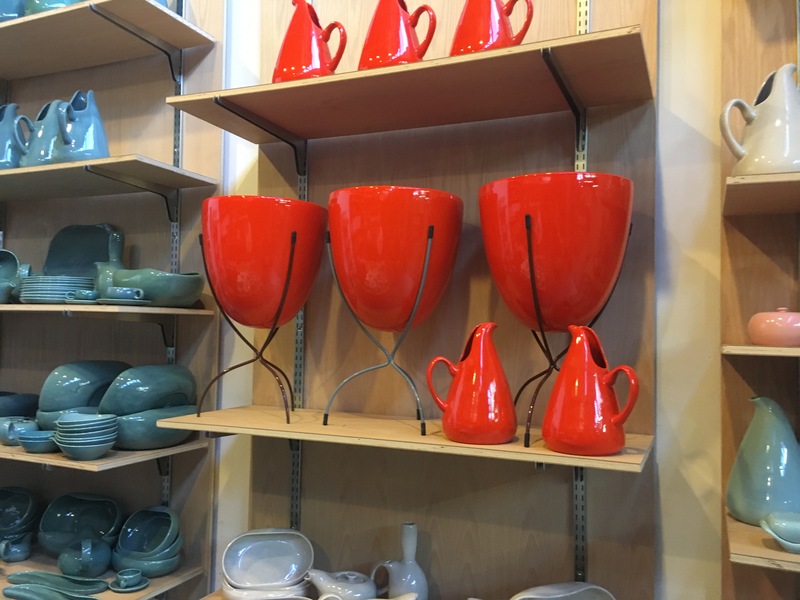 There you’ll find an array of factory seconds available at discount prices. A couple of weeks ago it opened to the public (as it will continue to do throughout December) and Shannon and I went to check it out. Let me tell you, it’s not the easiest place to find. In an industrial corner of the city just behind Forest Lawn you’ll find it at the end of dead end street. BUT you won’t be able to see it from the street as it’s actually situated behind another building. Luckily, there are clear signs pointing the way and we managed to locate it on our first try. Talk about a color explosion! 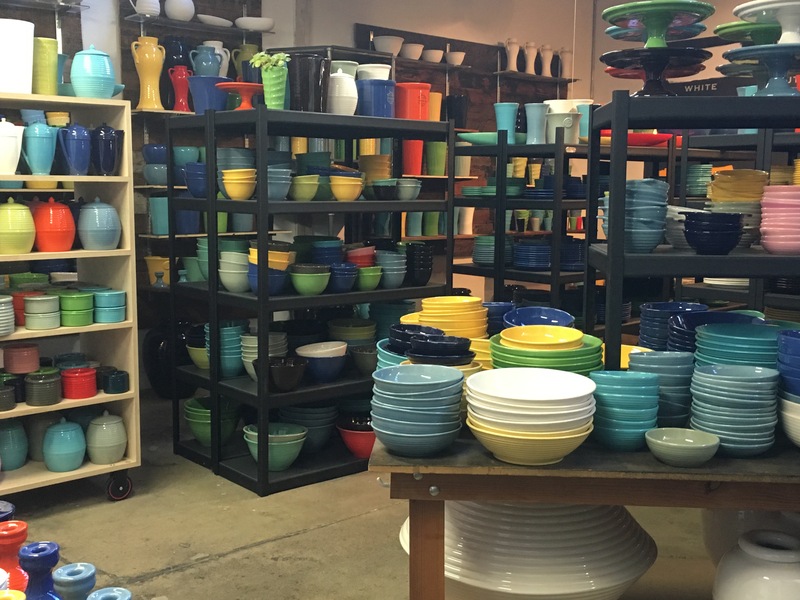 Bowls and plates and pots and vases in every shape and color fill the small area. It’s a wonderland of craftsmanship just waiting to be explored. And explore we did. but with no backyard of my own they were pretty impractical. Finally FINALLY I settled for a handy dandy baking dish in turquoise. As soon as I paid for it the good folks at Bauer wrapped it up and packaged it in a sturdy box to guarantee a safe passage home. What service! The Bauer showroom may be a bit out of the way but is well worth the effort. Anything special always is.